Players are expected to wear Centaurs kit (club shirt, shorts and socks) and rugby/football boots to training and when playing. 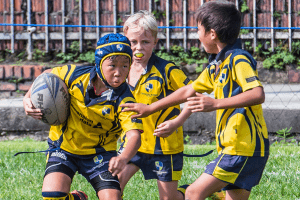 A mouthguard is mandatory for U8s and above when training and playing in competitions. Headgear and shoulder pads are optional. We sell mouthguards (and various other merchandise) at the Registration Desk on Saturday mornings. Bring your own water and wear sunscreen. 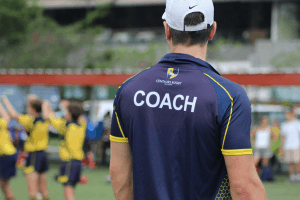 The Singapore Rugby Union runs the following courses for coaches. The links tell you when the next courses will be held. 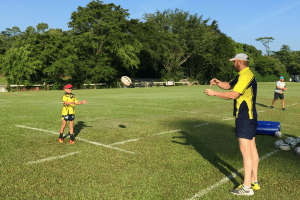 The Singapore Rugby Union runs refereeing courses. The link tells you when the next courses will be held. JRCS outlines their expectations of parents and spectators in their Code of Conduct under “Parent’s Code”. We have several qualified first aiders on our staff and coaching team, and our Emergency Action Plan is in place. Professional First Aid cover at all our home training sessions and matches is provided by Emergency First Aid and Response (EFAR). We have partnerships with OrthoSports and City Osteopathy & Physiotherapy, our coaches’ sponsor, for any additional or ongoing treatment required. Our Registration Desk is open during term time on Saturday mornings from 8am to 1pm. Stop by for a chat, ask registration questions, and purchase merchandise.